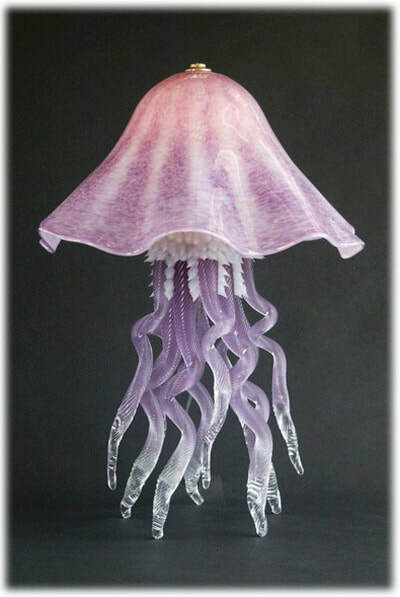 Joel Bloomberg is known for his lustrous glass of unique colors, hues, and tones which he uses to create his illuminated sculptures. 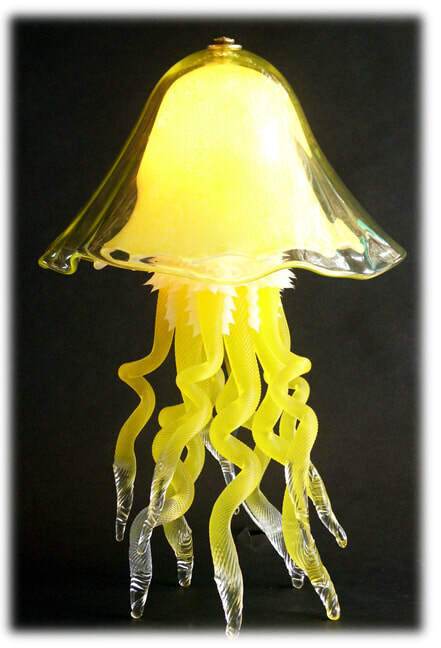 Each Jellyfish lamp is unique in color, shape, size, and appearance. Each requires a complex combination of blowing, cold working, and lamination that Joel has perfected over many years. 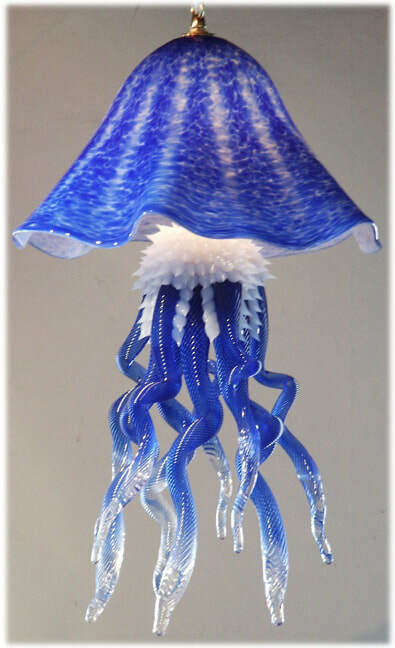 ​"Light plays an important part with all of my work, and especially in my illuminated sculptural lamps," he explains. "Colors and reflections can look very different depending on the time of day, direction of the light, or other factors affecting light." The pieces shown here are only a small representation of Joel's work. Call us to discuss your requirements. Amethyst Table Lamp Single Dome.